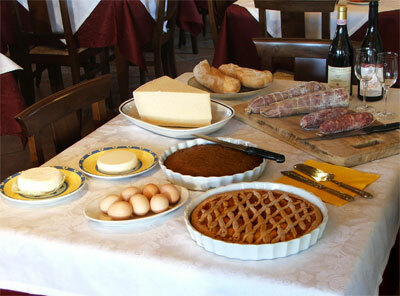 The housefarm stands in the middle of the green hills of Alba, in the proximity of Diano d'Alba. 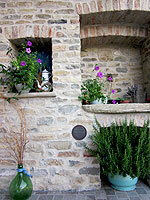 The environment is quiet and typical for the authentic Piedmontese countryside life. The atmosphere is full of warm Italian hospitality and spontaneity. Our farm holidays has a chesnut wood, a hazel grove wood,a pinewood and an orchard. 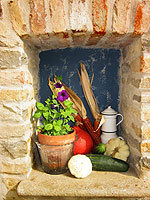 In this unique scenery, admist the Langhe hills, you wil have the possibility to taste the home made Piedmontese culinary specialities. 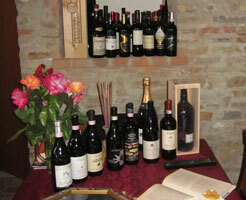 You could also sample the classic wines of the Langhe and Roero, wines produced by us.